U.S. Sen. Joe Manchin cracked a rib of U.S. Sen. Claire McCaskill while performing the Heimlich manoeuvre on the fellow Democrat when she began choking. U.S. Sen. Joe Manchin has cracked a rib of U.S. Sen. Claire McCaskill while performing the Heimlich manoeuvre on the fellow Democrat when she began choking. A spokesperson for Manchin told the St. Louis Post-Dispatch that McCaskill began choking during a luncheon for Senate Democrats on Thursday. Manchin used the Heimlich manoeuvre to dislodge the blockage in McCaskill's throat, but he cracked a rib in the process. 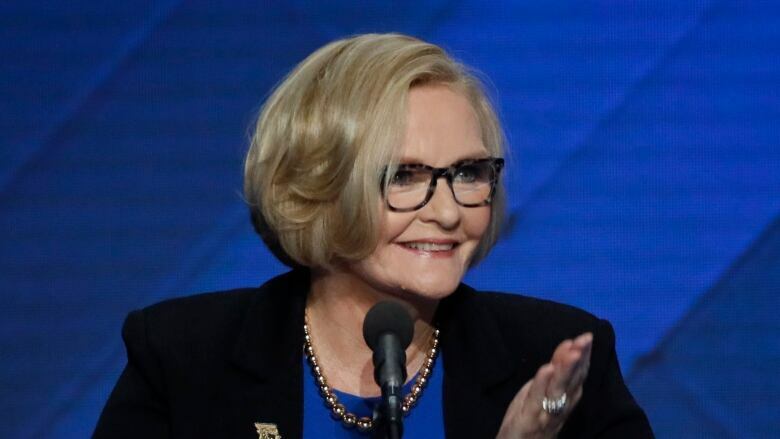 McCaskill addressed Democrats at the annual Truman Dinner in St. Louis on Saturday. She said she would not be hugging people when she appeared late last week at an NAACP dinner in St. Louis. Manchin is from West Virginia; McCaskill represents Missouri.